Mike, an office administrator aged 24 years, presented with severe lower back pain, which he had experienced for 24 hours after spending the previous day helping to move office supplies at work. He had difficulty ambulating and most movements aggravated the pain. There were no lower limb symptoms and no red flags present on history or examination. He was otherwise well and was not taking any regular medications. On examination he was found to have reduced range of motion of his lumbar spine in all directions combined with a fear of moving. There was tenderness and muscle spasm over the right lumbar area and pain on left sided intervertebral joint mobilisations L2-4. There were no neurological signs or symptoms. 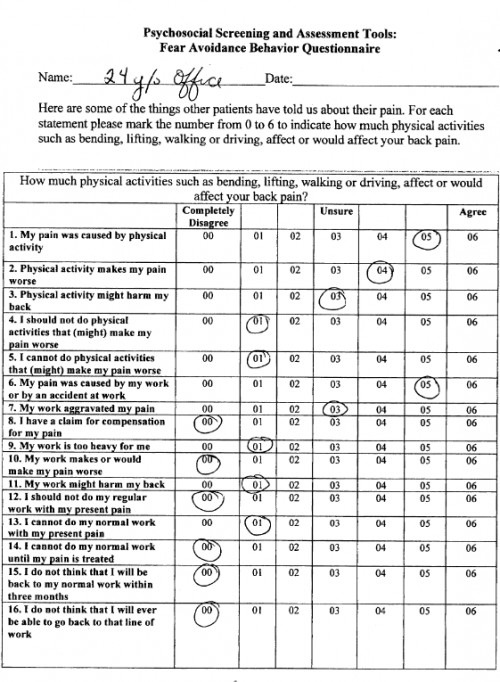 Examination also revealed impairments of poor strength or muscle coordination in the lumbar region and core. 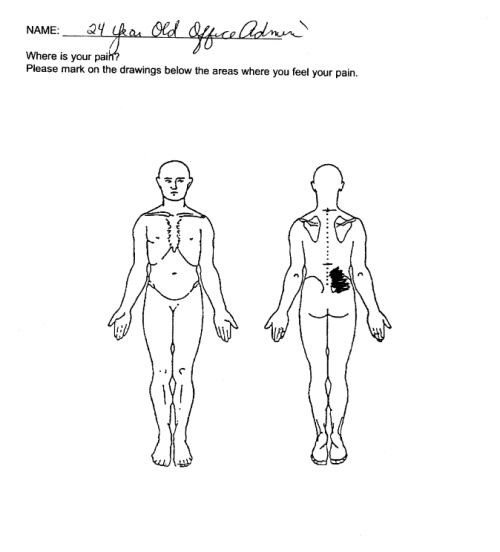 The diagnosis was acute non-specific low back pain. Initially Mike was given advice to remain as active as possible, avoid bed rest, take simple analgesics as required and reassurance that the pain is likely to settle quickly. He was given a simple home exercise program to self manage at home. A week later the pain had settled, he had regained full range of movement and returned to work. 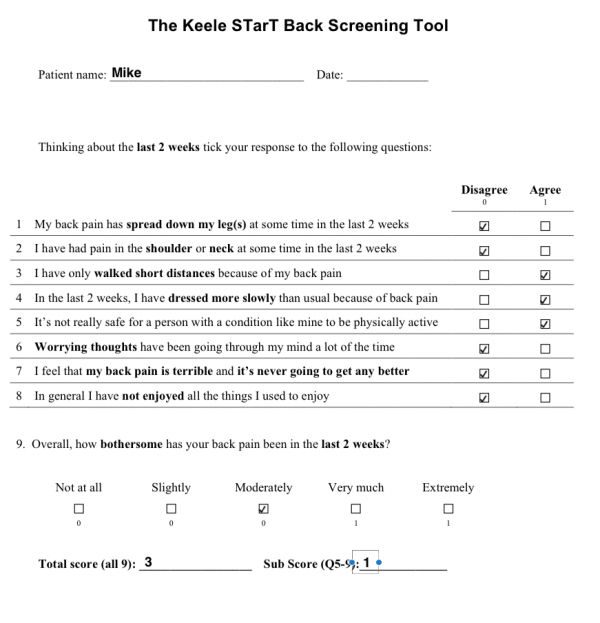 His exercise program was progressed to include exercises that might prevent a recurrence of this episode of low back pain. He was discharged.